Which dishwasher brand to buy in 2019 - Which? Unique Which? reliability and customer satisfaction data helps you choose a dishwasher brand that lasts. We survey owners of AEG, Bosch, Miele, Neff, Siemens dishwashers to find out which develop the least faults over time and which brands customers are happiest with and would recommend. Which dishwasher brand stays fault free for longest? Eight in ten dishwashers made by the best brands last longer than eight years without a single fault. But if you buy one from the worst there's almost a 50:50 chance it will become faulty in that time. Knowing which brands develop the most faults and how quickly is vital when you're buying a new dishwasher. That’s why each year we ask nearly 10,000 Which? members in our unique reliability and customer satisfaction survey to tell us whether they are happy or have experienced problems with their home appliances. Our survey data takes into account the reported fault rates, severity of these faults and the speed with which they occurred. We've crunched the numbers on the biggest dishwasher manufacturers – including AEG, Bosch, Miele, Neff and Siemens – and have calculated a reliability rating and customer score for each so you know which brands to choose – and which to avoid. As you can see, there's a big difference between the best and worst dishwashers, most and least reliable dishwasher brands, and the satisfaction score reported by customers. Only logged-in Which? members can view which brands are the most and least reliable, and which our members are most satisfied with, in the table below. If you're not yet a member, join Which? to get instant access. The above data is based on a survey conducted on 4,012 Which? members between September and October 2018. The most common problem people experience with their dishwasher is a drop in how well it cleans. Other common problems include not draining properly, leaving a pool of water in the bottom of the dishwasher. Not drying is another common problem, accounting for 7% of all the dishwasher faults reported in our survey. Faults in the internal electrics of the dishwasher stood for nearly 6%. This could be due to internal wiring or shortages. Blocked pipes, broken control panels and broken dish racks were among the other faults reported. Owners think dishwashers should last at least eight years without developing a catastrophic fault, and you should expect no faults in the first year of ownership. But our data tells a different story. Some 6% of dishwashers from the best brand developed a minor fault in the first year. 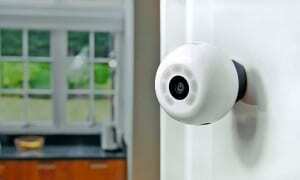 But the least reliable brand saw 18% of its dishwashers faulty within a year. What’s interesting – and is a clear example of false economy – is that cheaper dishwashers from some brands are more likely to fail than others. But this wasn’t true in all cases, some brands actually had identical reliability figures no matter the price of the dishwasher. Only logged-in Which? members can view which brands stay fault-free for longest in the table below. If you're not yet a member, join Which? to get instant access. Results based on feedback from 4,012 dishwasher owners, surveyed between September and October 2018. Minor A fault that doesn't affect the product's performance significantly or a fault that only occurs occasionally with minimal impact. 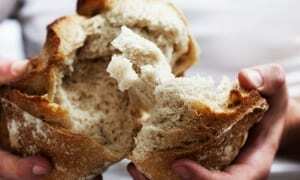 This issue may be irritating or annoying but it isn't frequently problematic and you can easily work around it. For example, an unusually noisy motor or a small water leakage. Major A fault that has a noticeable effect on the product’s performance. This fault affects how you use the product and can be problematic. For example, cutlery rack or basket breaking, or a drop in how well the dishwasher dries. Catastrophic A fault that renders the product unusable, with the fault needing to be repaired or parts replaced before it can be used again. For example, a key electrical fault, which causes the dishwasher's control panel to be unresponsive. Table notes Average test score based on results of all models tested and available in November 2018. The customer score and brand reliability rating are based on a Which? member survey conducted in September-October 2018 of 181 AEG dishwasher owners. The customer score is based on whether members would recommend the brand to a friend, and reliability is based on members’ experience of that brand. Find out how well AEG dishwashers score for reliability, and how AEG fares against rival dishwasher brands such as Bosch and Miele. 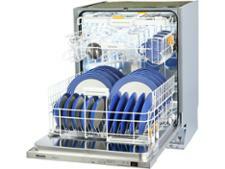 Find out what the most common problems people have with their AEG dishwasher. Table notes Average test score based on results of all models tested and available in November 2018. The customer score and brand reliability rating are based on a Which? member survey conducted in September-October 2018 of 248 Beko dishwasher owners. The customer score is based on whether members would recommend the brand to a friend, and reliability is based on members’ experience of that brand. Find out how well Beko dishwashers score for reliability, and how Beko fares against rival dishwasher brands such as Bosch and Miele. 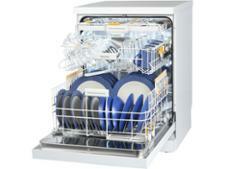 Find out what the most common problems people have with their Beko dishwasher. Table notes Average test score based on results of all models tested and available in November 2018. The customer score and brand reliability rating are based on a Which? member survey conducted in September-October 2018 of 1518 Bosch dishwasher owners. The customer score is based on whether members would recommend the brand to a friend, and reliability is based on members’ experience of that brand. Find out how well Bosch dishwashers score for reliability, and how Bosch fares against rival dishwasher brands such as Neff and Miele. Find out what the most common problems people have with their Bosch dishwasher. Table notes Average test score based on results of all models tested and available in November 2018. The customer score and brand reliability rating are based on a Which? member survey conducted in September-October 2018 of 174 Hotpoint dishwasher owners. The customer score is based on whether members would recommend the brand to a friend, and reliability is based on members’ experience of that brand. Find out how well Hotpoint dishwashers score for reliability, and how Hotpoint fares against rival dishwasher brands like Bosch and Miele. Find out what the most common problems people have with their Hotpoint dishwasher. Table notes Average test score based on results of all models tested and available in November 2018. The customer score and brand reliability rating are based on a Which? member survey conducted in September-October 2018 of 419 Miele dishwasher owners. The customer score is based on whether members would recommend the brand to a friend, and reliability is based on members’ experience of that brand. Find out how well Miele dishwashers score for reliability, and how Miele fares against rival dishwasher brands such as Bosch and Siemens. 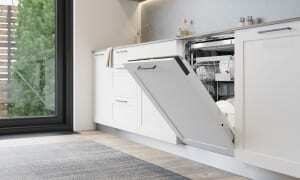 Find out what the most common problems people have with their Miele dishwasher. Table notes Average test score based on results of all models tested and available in November 2018. The customer score and brand reliability rating are based on a Which? member survey conducted in September-October 2018 of 405 Neff dishwasher owners. The customer score is based on whether members would recommend the brand to a friend, and reliability is based on members’ experience of that brand. Find out how well Neff dishwashers score for reliability, and how Neff fares against rival dishwasher brands such as Bosch and Miele. Find out what the most common problems people have with their Neff dishwasher. Table notes Average test score based on results of all models tested and available in November 2018. The customer score and brand reliability rating are based on a Which? member survey conducted in September-October 2018 of 328 Siemens dishwasher owners. The customer score is based on whether members would recommend the brand to a friend, and reliability is based on members’ experience of that brand. Find out how well Siemens dishwashers score for reliability, and how Siemens fares against rival dishwasher brands such as Bosch and Miele. 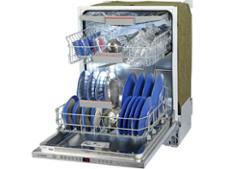 Find out what the most common problems people have with their Siemens dishwasher. Which? has a wealth of information on Britain's favourite brands. Every year we ask Which? 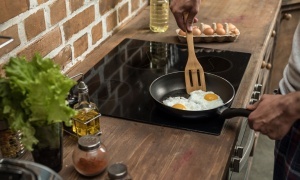 members to tell us about the home appliances they own - from how likely they would be to recommend a brand, to how reliable the products are once they get them home. This year nearly 10,000 Which? members told us about more than 34,000 individual products. We calculate a brand's reliability and its customer score based on the results of our annual survey. Our reliability surveys, combined with our extensive lab tests, mean we can recommend the best dishwashers you should buy. We've investigated what to do about some of the trickier problems you might encounter with your dishwasher, surveying 106 appliance repairers about what advice they'd give for fixing faults with dishwashers and other home appliances. Repairers’ advice: repairers were most likely to recommend getting a professional to fix it. One said: 'It’s easy to damage the replacement part if you don’t know what you're doing,' and others also stressed the importance of doing the job correctly. Cost of professional repair: around £65. Our advice: check the instruction manual – it should explain how to fit a new spray arm yourself. If not, get a repairer in. Repairers’ advice: getting it fixed professionally was recommended by more repairers than replacing it or doing it yourself. ‘If it’s not done correctly, it could cause more damage to the dishwasher,’ said one repairer. Cost of professional repair: around £55. Our advice: you might be able to see and easily remove the glass causing the blockage by lifting the main large filter under the bottom spray arm. If you can’t see any blockage or can’t get it out, call a repairer. Repairers’ advice: slightly more repairers advised getting it fixed professionally than replacing the entire machine. ‘Securing the door is important, so brand new door locks would be the best option,’ said one who was in favour of replacement. Cost of professional repair: around £70. Our advice: consider a replacement if the machine is old – otherwise, get a repairer to fix it.